Those big chess pieces are called wooden chess in 24 inch. Large enough for indoor chess game. So its more suitable for outdoor chess game. You just need the suitable board for the chess pieces and lay it on flat area. Although the pieces are large enough, but its easy to move on the board. 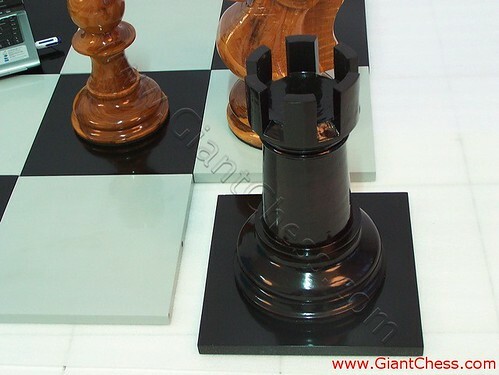 Sized in 24 inch, those chess pieces also perfect for house decoration. For indoor and outdoor. In living room, library, office, or even at your garden. Our 24 inch chess set is very popular for outdoor use, on a board with 12″ x 12″ squares. Children and adolescents especially love these pieces, and they are still not too large, nor too heavy, to be taken with you wherever you should wish to play. Even if kept permanently outdoors, in yard or garden, because they are of teak they can withstand any weather.